Kamado grills are widely considered the most versatile cooking device ever, serving as a cooker, griller and smoker in one! 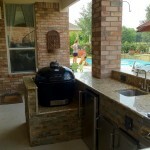 Here are two of Outdoor Homescapes of Houston’s favorite brands, which can be ordered and installed as part of outdoor designs like custom covered outdoor kitchens, patio covers and more! 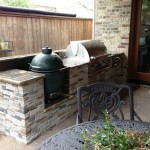 Interested in how we can incorporate one of these kamado grills into your outdoor design? 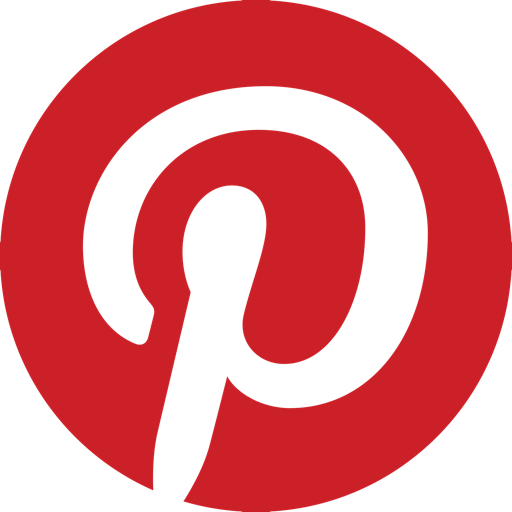 Just contact us, and we’ll set you up! 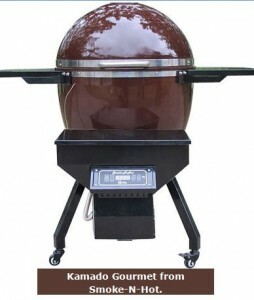 Unlike other kamado grills , this ceramic backyard cooker from Smoke-N-Hot saves you from adding twigs or lump charcoal. With just the push of a button, you can just set your desired temperature with the advanced digital cooking controls. 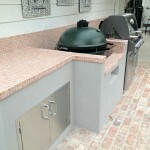 In contast to some other kamado grills, the Kamado Gourmet also offers a generous cooking area. It costs $1,699 and takes about 90 days from ordering to installation. 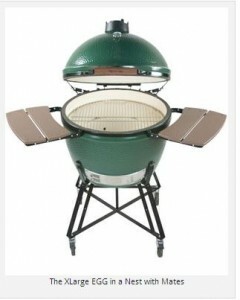 As the first of the American-designed kamado grills, the Big Green Egg comes in five sizes. The largest, XLarge, has a price tag of about $1,100 and has a grid diameter of 24 inches. It can cook two 20 lb. turkeys, 24 burgers, 11 whole chickens, 12 steaks or 14 racks of ribs (vertically). The smallest, the Mini, is priced between $470 and $540 and has a grid diameter of 10 inches. It can hold two chicken breasts, two pork chops or one steak. The Big Green Egg comes with plenty of accessories, including stands called “nests.” And we make these nests look good in your outdoor living space, building them into natural or man-made stone islands.